Mount Zion Spiritual Baptist church North London UK. 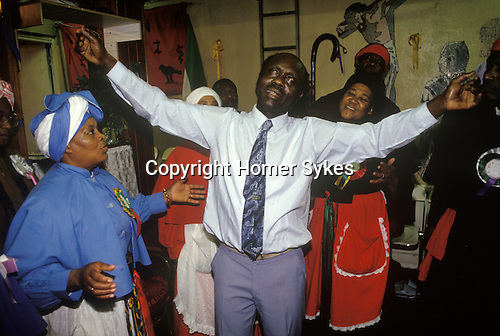 Mother Noel the wife or partner of father Noel who runs the small church is on left as man comes out of his trance as, evil spirits leave his body. He cries out to praise The Lord. This church service takes place in the front room of a small terraced house in north London.